To celebrate the release of WWE Royal Rumble 2016 on DVD and Blu-Ray, we've teamed up with WWE to offer you the chance to win one Blu-Ray and an Exclusive A3 sized printed Road to WrestleMania Infographic. This year's Royal Rumble was a bit different to normal as the WWE World Heavyweight Championship was on the line for the first time ever. The 1992 event saw a vacant title up for grabs, but this was the first time a Superstar had been forced to defend his gold against 29 other men. As well as the Rumble match itself, this was the pay per view that saw Dean Ambrose defend his Intercontinental Championship against Kevin Owens in a Last Man Standing match; The New Day defended their Tag Team Championships against The Usos; Kalisto challenge Alberto Del Rio for the United States Championship; while Charlotte and Becky Lynch faced off with the Divas Championship on the line. It was an incredibly stacked card. 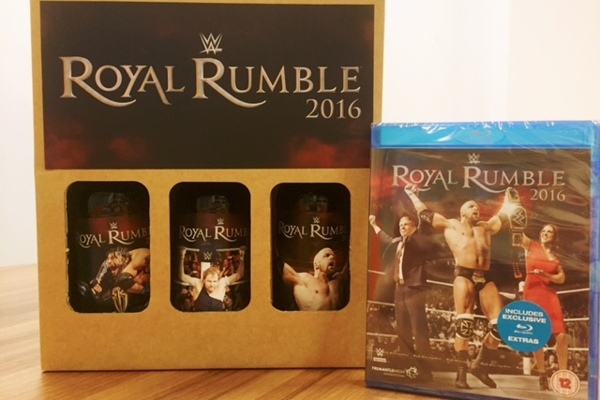 Royal Rumble 2016 is out on DVD and Blu-ray NOW! Enter your details in the form below for a chance to win. To enter please submit your name and address details to contest@whatculture.com.